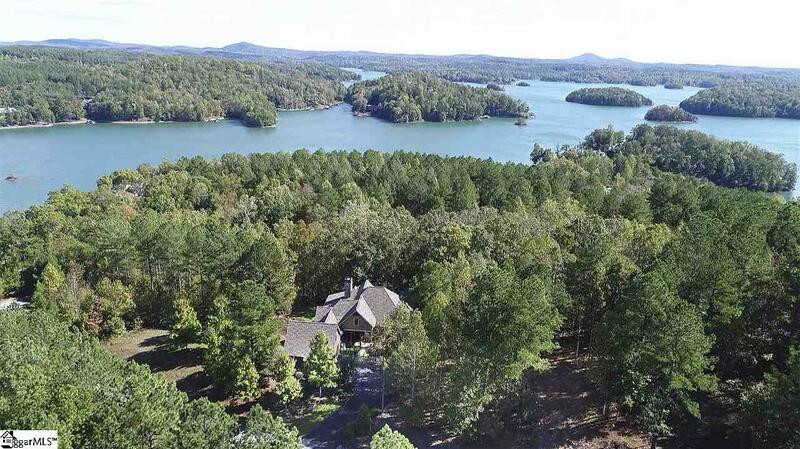 Resting in an idyllic setting of hardwoods on a largely level site that is embellished with beautiful landscaping details, this home is located just beyond a narrow woodland from Lake Keowees crystal clear waters. Available boat slips are a short walk or golf cart ride away. 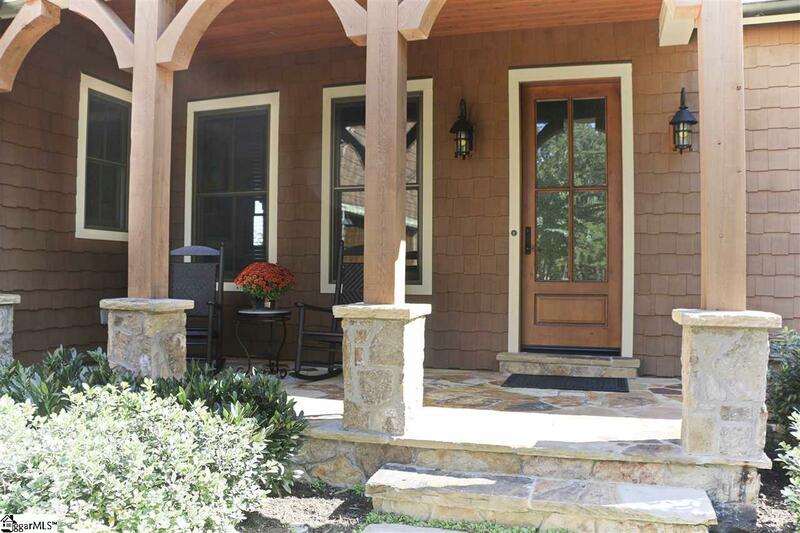 Move-in ready, the lovingly maintained home embodies warmth and refinement. 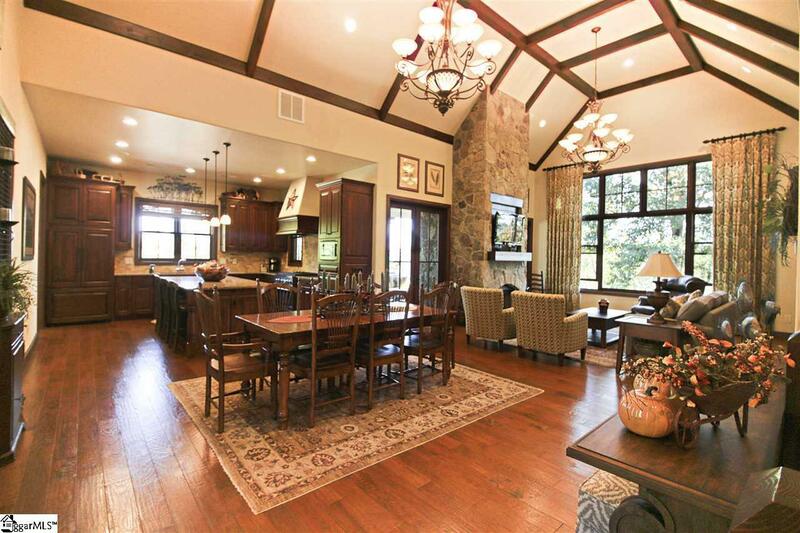 Its open floor plan boasts hardwoods and tile throughout, soaring ceilings with rustic wood accents, welcoming morning sun, outdoor living spaces on both levels, and both indoor and outdoor stunning, floor-to-ceiling stone fireplaces. The lovely granite kitchen, which sits adjacent to the great rooms living and dining areas, features Jenn-Air appliances, a six-burner gas cooktop/range, and long-range mountain views from double windows above the sink. (Note that additional mountain and lake views are displayed seasonally.) Just off the kitchen and great room is a screened porch with fireplace and grilling area. The main-level master suite includes a gorgeous free-standing, clawfoot soaking tub. The lower level entertains guests with a den/family room, game area, wet bar with beverage cooler and ice machine, three spacious guest suites, one of which is presently used as a well-appointed office, and covered patio. Intelligent design maximizes the homes 3,200 square feet and incorporates efficiencies like Icynene foam insulation, tankless hot water heater, and gas starters for the fireplaces. 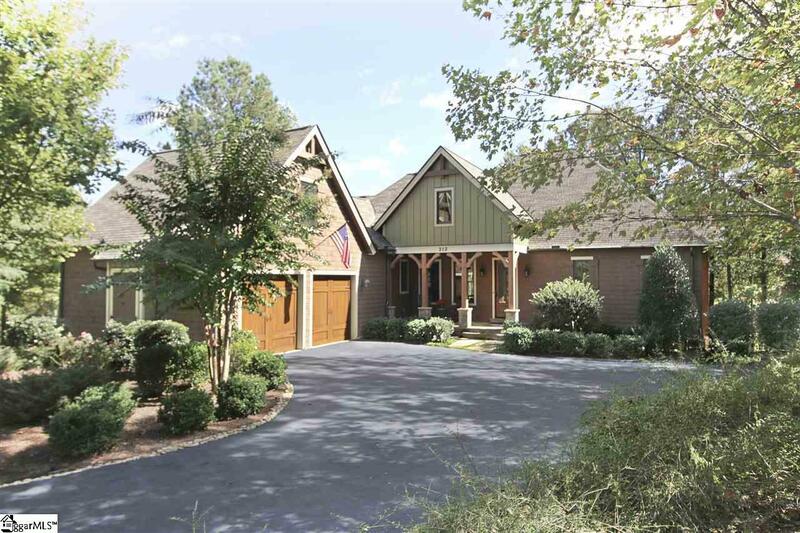 The homes quiet cul-de-sac is just inside The Cliffs at Keowee Falls rear gate, so it enjoys easy access to the nearby town of Seneca, as well as Clemson University. The area is ideal for walking (the community has a comprehensive trail system), and additional acreage is optional, as the adjoining property is developer owned. The homes elegant furnishings are negotiable, and a variety of Cliffs memberships are available.